One of the few split releases that Pollard has released alongside one of his other projects, this slab of wax saw the light of day just 4 months prior to the release of Bee Thousand. This split between Freedom Cruise and Nightwalker is a bizarre pairing of basement recordings with different Pollard and the gang "bands." The original pressing was limited to 1000, with a repress of another 1000 following soon after. 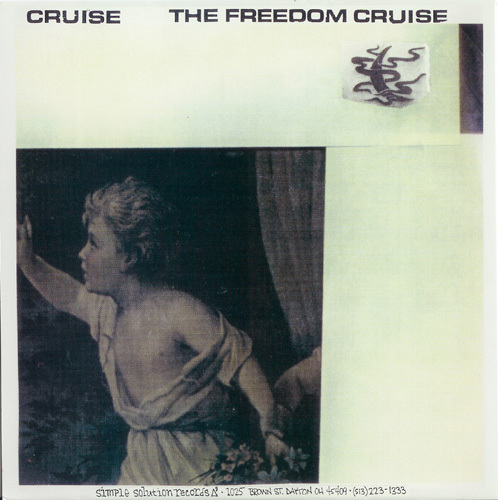 The following is a review of the Freedom Cruise side. The Nightwalker side can be read here. Cruise- 3 Ominous, bass plodding into over-blown downstrokes. Monotone, haunting melodies from Pollard. Song comes complete with ripping, eerie solo. Short and potent fuzz. Additionally, for the completests, an alternate version appears on GBV's Disc 3 of Suitcase. Lucifer's Arching Revolver- You can read the review of this side here.